Hall Laurie Calhoun was born in Conyersville, District 14, Henry County, Tennessee, December 11, 1863. Abraham Lincoln was president of the United States and America was in the throes of the Civil War. However, the small community where John Shelton Calhoun and Martha Louisa Calhoun, the parents of Hall Laurie, lived was removed from the conflict, though the village was located on the stage coach route between Paris, Tennessee and Murray, Kentucky. Conyersville was an important trade center for the thriving agricultural area and John Shelton Calhoun became a successful farmer and merchant. Following the Civil War the Louisville and Nashville railroads was built through tobacco to connect Paris, Tennessee with Paducah, Kentucky. The railroad ran through Puryear, which was two miles west of Conyersville and isolated the birth place of Calhoun from the main thoroughfare of transportation and communication. John Hall, esq., was the maternal grandfather of Hall L. Calhoun, after whom he was named. Squire Hall moved from Davidson County to Wilson County, Tennessee, soon after his daughter Martha Louisa was born. The Hall and the Calhoun families grew up together. John Shelton Calhoun and Martha Louisa Hall were married on September 30, 1847. Soon after their marriage they moved to Henry County and located at Conyersville where they lived until 1897 when they went to live with a daughter in Martin, Tennessee. The deed books in the office of the Henry County Recorder show that John Shelton purchased 285 acres of land, on which he built a house, from Richard Stratton on May 27, 1848 for $750. We infer that they moved to Henry County a short time before they bought the land. John Shelton and Martha Louisa Calhoun died and were buried in Martin, Tennessee. Hall L. Calhoun grew up as a very private and complex person which personality he carried with him all of his life. His ancestors were identified with the Presbyterian Church but his parents attended the Methodist Church where his father taught a Sunday School class. Calhoun's parents were not only well-to-do citizens but they were also very religious. When he was 12 years old his mother gave him a Bible which he read every day of his life. The Bible became his constant companion but he had great difficulty in harmonizing what he saw in practice among the sects with what he read in the Bible. When he first heard preachers of the Restoration Movement he was convinced that he would never become a "Campbellite." He and his mother studied the Bible together in an effort to develop arguments against "Campbellism." About this time in 1876, W. T. Shelton, a Christian preacher, who of gospel sermons in the Methodist meeting house. Shelton had married Mattie Calhoun two years before the meeting and had baptized her. During Shelton's meeting in Conyersville Martha Louisa was convinced of the truth, made the confession of her faith and was baptized by her son-in-law in Blood River which ran through the Calhoun farm. One year later John Shelton was baptized into Christ. Young Hall Calhoun continued to struggle with his religious convictions, and endeavored diligently to experience what the preachers and his friends told him would be evidence of his conversion and salvation. His older brother James had gone away to medical school. Hall L. discussed with him his situation during the vacation period. He found out that James had undergone a similar struggle but had settled the matter by being baptized into the church of Christ. This decision on the part of his brother, whom he loved dearly, greatly influenced young Hall in his further pursuit of the truth. Hall Laurie Calhoun attended elementary school in Henry County until he was fourteen years old. In the fall of 1877 his parents took him to Mayfield, Kentucky and entered him as a student in the Mayfield Seminary. He remained in the Seminary, located at the South West corner of North Eighth and Ann Streets, studying spelling, writing, geography, Arithmetic (metal and written), English grammar and History of the United States, in the Intermediate Department for two years. While Calhoun was a student in Mayfield he decided to attend a revival at the Christian Church. He went to hear the preacher, contending all along that he did not believe what he had heard from the "Campbellities." He attended both the morning and evening services and after hearing forty two sermons he found perfect harmony between what the preacher said and what he read in the Bible which his mother had given him, two years before. He confessed his faith in Christ and was baptized for the remission of his sins. Calhoun said he never regretted this decision as a 14 year old boy. In 1879 Hall Calhoun's brother-in-law, W. T. Shelton, and his older sister Mattie moved to Union City, Tennessee where Shelton became the minister of the local Christian Church. Young Hall Laurie went along with the Sheltons and enrolled as a high school student in the Union City Training School. The school was housed in a brick building located on North First Street and was headed by R. E. Crockett, one of the outstanding educators of his day. Calhoun received "instruction in algebra, higher mathematics, Latin and Greek as well as the ordinary subjects." Most of what we learned about the Union City Training School came through an interview with Edward Dietz on September 18, 1881. Mr. Dietz was born February 10, 1885 and graduated from the Training School May 25, 1901. He qualified for admission to Vanderbilt University by taking and passing an entrance examination. Dietz thinks that Calhoun pursued about the same program of studies which he did and probably qualified for admission to college on the basis of a written examination. (The Training School closed in 1923). After two years of study Calhoun graduated with a high school diploma and remained to teach in the school one year. During the time that Shelton was preaching for the Christian Church in Union City the organ was introduced into the worship. This was while Calhoun was a student and teacher in Union City. The Christian Church divided over the use of the organ and a group left and met in the Obion County Courthouse. The first sermon for the group opposed to the use of an organ in worship was preached by David Lipscomb. This group took the name "Church of Christ" and is now known as the Exchange Street Church of Christ. The record shows that Calhoun returned to Union City in May 1896 and conducted a meeting for the "organ church" which resulted in over 50 additions. At the time of this meeting W. E. Sheffer was minister of the Union City Christian Church and Calhoun was minister of the Tenth Street Christian Church in Paducah, Kentucky, which also used an organ in worship. Three years later Sheffer was preaching for the Woodland Christian Church, Nashville and Calhoun was preaching for the Church in Franklin. The Woodland Church used an organ but the Franklin Church did not. J. C. McQuiddy wrote in the Gospel Advocate concerning the Woodland Church that it "is one of the most digressive in the State, having the organ, Endeavor Societies, and being in full sympathy with the modern movements of organized effort." When Hall Calhoun completed his student and teaching days in the Union City Training School in 1882 he returned to Henry County to teach in the Conyersville Male and Female Academy. His name appears in connection with the Academy and with Teachers Institutes held in Conyersville. John R. Williams made mention in the Gospel Advocate in 1887 about a visit which he made to the Conyersville Church and his stay in the home of John Shelton Calhoun. He said: "John Shelton's son, Hall, is a live enthusiastic student of the Bible." The Conyersville Church was probably established, said Williams, by James A. Harding. If so, it must have been before James Walter Harding and his son, James A., left the Court Street Christian Church in Winchester, Kentucky because of the introduction of the organ in 1887 and established the Fairfax Church of Christ. There is no evidence that Hall Calhoun had begun to preach while teaching in Conyersville other than his participation in the worship services of the local congregation. Calhoun went to Lexington, Kentucky in the fall of 1888 and enrolled as a student in Kentucky University and the College of the Bible. No record can be found of his high school transcript but we infer that his training in the Mayfield Seminary and the Union City Training School prepared him adequately for admission to the classical program of study in both institution of higher learning. When Calhoun entered Kentucky University Charles L. Loos was president of the University, Robert Graham was president of the College of the Bible and John W. McGarvey and Isaiah B. Grubbs were the most noted professors. Calhoun remained in Lexington for four years and graduated on June 7, 1892 with an A.B. degree, in classical courses, from the University and with a classical diploma from the College of the Bible. During his senior year in the University he served as "Second Assistant" to the Principal of the Academy. He was paid $200 for his services. Students who were not eligible for admission to Kentucky University or Hamilton (female) College, 13 years of age or older, were enrolled in the Academy to take a preparatory program of study. While Calhoun was a student in Lexington he met Miss Ettah Stacey who was a student in Hamilton College. They were married December 31, 1890. When the young couple moved to Conyersville they bought 2 building lots from W. S. Littleton and his wife, Mollie, for $300 on August 10, 1893, on which they erected a home across the road from the home of the senior Calhouns. Hall Calhoun's name began to appear as Principal of the Conyersville Male and Female Academy and in the Gospel Advocate as evangelist for Christian Churches in West Tennessee and West Kentucky-both those that endorsed instrumental music in worship and those who opposed. Glowing reports of successful revivals came to the Advocate from Hintingdon (3 weeks with 30 responses), Sulphur Wells (5 days, 12 additions), Lynnville, Ky. (10 days, 32 additions), Blood River (10 days 38 added), Murray, Ky. (44 additions), Hico (10 added) New Concord, Ky. (28 added), Paducah, Ky. (32 added) and Martin (15 additions). Calhoun himself reported in the Advocate regarding his meetings during the year 1895, that he had "held 17 protracted meetings, preached 507 sermons, and received 425 people into the Church; 61 of these additions came from the sects." Ernest McDougle, minister at Huntingdon, Tn. described Calhoun as one who "ingratiated himself in the hearts of our people," and advised the churches that when the "aged brethren are called from their labors in the gospel, they may lay down content to let their mantle fall upon such young men as Brother Hall L. Calhoun." "Young" Calhoun was 30 years old at that time. Calhoun went to Paducah, Kentucky in late 1895, to work with the Tenth Street Christian Church and remained into 1896. This congregation used the organ in worship and he described the church as "noble Band." 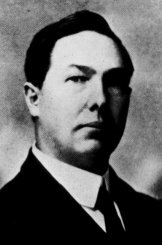 He also reported that "Brother Leonard Daugherty (Elizabethtown, Ky.) and his wife conducted the song service" during a meeting there. W. T. Boaz was invited to hold a meeting at Tenth Street Christian Church in 1906 and convinced many of the members that they should withdraw themselves from those who used the organ in worship and who were affiliated with the Missionary Society. Those who left the Christian Church formed the Gobel Avenue Church of Christ. Calhoun left Paducah in late 1896 and moved to Franklin, Tennessee to work with the Church there which did not use instruments of music in worship. However, he continued to preach for "organ churches." He was preaching for the "Organ Christian Church" in Newburn, Tennessee while teaching at Georgie Robertson College when he wrote a letter dated August 10, 1901 to John W. McGarvey indicating his strong desire to join the faculty of the College of the Bible. He found himself identifying with those who were on opposite sides of the organ and Missionary Society question. The complexities of his personality would allow him to rationalize his position but complain that the non-instrumental churches were beginning to complain that he belonged with the instrumental churches. However, he was forced to make a decision on his stand when David Lipscomb and James A. Harding invited him to come to Nashville for an interview about a teaching position with the Nashville Bible School. After a long period of discussion, Calhoun told Lipscomb and Harding that he could not bring himself to believe that the brethren who used the organ were "unworthy of fellowship." Lipscomb and Harding did not accept Calhoun as a teacher in the Nashville School because they were fearful of the adverse influence he would have on the young men who attended the school. Instead of going to Nashville he accepted the invitation of President A. G. Freed to join the faculty of the Georgie Robertson Christian College in the fall of 1900. He became the head of the Bible Department: N. B. Hardeman was a member of the College faculty and a student of Calhoun's in Bible. Ettah Calhoun was also listed as a "professor of Biblical Geography, and Church History." The books listed for use by Calhoun and his wife in their classes, were: McGarvey’s class notes on Sacred History, McGarvey's text and Canon, Grubb's Hermeneutics, Grubb's Church History and Milligan's Scheme of Redemption. This accounts for the fact that Calhoun could write McGarvey and tell him that he was teaching in Henderson what he would be expected to teach in Lexington. During the time that Calhoun was teaching in Henderson the Christian Church to which Freed and Hardeman belonged was using instruments of music in worship. The Newbern, Tennessee church for which Calhoun had preached in 1901 divided over the use of the organ. Dr. J. S. McCorkle and others became defendants in a suit filed by J. H. Meeks and others as plaintiffs in the Dyersburg Chancery Court. The deposition of Calhoun was taken on December 19, 1904 in which he defended the use of the organ and denied that it became a part of the worship. He admitted that the musical notes of the instrument intermingled with the tones of the singers but he said it was like the sounds of one coughing in the assembly intermingling with the singing or the sounds of a dog barking outside of the building intermingling with the singing. He claimed that a light bulb and an organ were coordinates-neither was a part of the worship. However, by the time he went to teach in the College of the Bible he had cast his lost with the organ group. Calhoun engaged in extensive correspondence with McGarvey during the summer of 1900 in an effort to arrange a faculty appointment in the College of the Bible. Calhoun expressed a great desire to teach in Lexington and as strong willingness to engage in additional study in preparation for the appointment. McGarvey had long been Calhoun's ideal and mentor and he wrote McGarvey that he was deeply indebted to him for his "spiritual development." An agreement was reached with the Board of Trustees for Calhoun to enroll in the Yale School of Divinity under a financial arrangement that included a commitment from Calhoun to return to the College of the Bible when he had completed the requirements for advanced degrees. He enrolled in Yale in the fall of 1901 and earned a B.D. degree in one year. Mrs. Calhoun enrolled for graduate courses also. He transferred to Harvard in the fall of 1902 where he completed the requirements for a M.A. degree in 1903 and a Ph.D degree in 1904. Calhoun was well received at Yale and Harvard because of his excellent preparation in the classics in high school, Kentucky University and the College of the Bible. He "sat at the feet" of some of the most renowned religious philosophers and higher critics of the day, including George Foote Moore. With his conservative Southern background Calhoun immediately recognized a great difference in what he believed and what he was being taught at Yale and Harvard. He wrote to McGarvey that "the more I see of the modern critical views the stronger and more beautiful does our great old gospel appear to me in its striking simplicity and the less I am inclined to substitute the personal authority of Christ for the authority of modern rationalism." However, in response to McGarvey's suggestion that Calhoun write some articles for the Christian Standard he replied, "I know enough of human nature to make me sure that if I speak out very strongly against some things which are taught here in the east it would cause some of those to whom I listen to be much less free in expressing themselves in my presence." He continued to accommodate his conservative beliefs to the liberal teachings of the Divinity Schools. However, while Calhoun was at Harvard he received the prestigious Hopkins Scholarship by a vote of the faculty and the Williams Fellowship which carried the highest award stipend of $300. His attachments to Harvard were very strong because he accepted an invitation to return on October 5, 1916 where he delivered an address at a convocation of the Divinity School on the subject, "Benefits Derived from attending Harvard Divinity School." He received strong criticism in some circles of his Brotherhood because of his speech. Calhoun received his Ph.D. from Harvard and wrote his dissertation on the subject, "The Remains of the Old Latin Translation of Leviticus." Dr. Calhoun, his wife and children returned to Lexington in the fall of 1904 where he became professor of Old Testament History and Hebrew in the College of the Bible. He also taught courses in Ancient Civil History and Expression. He began preaching for the Nicholasville Christian Church in 1904 and continued in 1907. He became the minister of the Providence Christian Church, in Jessamine County, in 1907 and remained until 1917. On February 3, 1905 Calhoun and his wife purchased a house and lot in Lexington on the South East corner of South Hadley Avenue and Sixth Street from Mrs. Ella Parrish for $2750. He sold the property on September 19, 1917 when he went to Bethany College. Burris A. Jenkins was serving as President of Kentucky University and John W. McGarvey was President of the College of the Bible when Calhoun began his teaching assignment. In 1908 Richard Henry Crossfield succeeded to the Presidency of the University. He received an English Diploma from the College the same year that Calhoun received a classical Diploma. There was evidence of a strong feeling between Crossfield and Calhoun which began soon after Crossfield took office. However, the breach began to widen after Calhoun succeeded W. C. Moro as Dean of the College in August 1911. McGarvey died on October 6, 1911 and Calhoun became acting President. This presented a more difficult situation than Crossfield had anticipated and served only to further strain the relationship between him and Calhoun. The differences between the two men were brought into clearer focus when Crossfield appointed Alonzo W. Fortune, William C. Bower and E. E. Snoddy to the faculty. Fortune held a Ph.D degree from the University of Chicago, Bower held a Ph.D degree from Columbia University, and Snoddy held a M.A. degree from Yale. Isaiah B. Grubbs died on September 20, 1912 leaving Calhoun as the only remaining appointee of McGarvey. The appointment of Fortune came under attack from S. S. Lappin, Editor of the Christian Standard. Lappin described Fortune as a liberal and as "one of the most ardent disciples of the Campbell Institute," which was composed of liberal graduate students from Yale, Chicago, Union and Harvard. Calhoun continued to teach and administer the affairs of the College in the conservative pattern which McGarvey had established. These methods ran contrary to the liberal methods and course content adopted by the new men. Crossfield strengthened his position in the conflict by resigning the Presidency of Transylvania (successor to Kentucky University) and proposing to the Board of Curators of Transylvania and the Board of Trustees of the College of the Bible that a man be named to serve as President of both institutions. Both Boards met and asked Crossfield to accept the joint appointment of the College and the University. He accepted the Presidency on February 1, 1912. The cold war between conservative Calhoun and the liberals represented by Crossfield, Fortune, Bower and Snoddy became a shooting war in the spring of 1917. A student named Ben F. Battenfield wrote a letter filing charges against the liberal professors accusing them with teaching destructive criticism. Calhoun was accused of formulating and precipitating the charges. The Board of Trustees met in called session to hear the charges which had been made. The complete account of the hearings and the actions of the Board is given by Dwight E. Stevenson in his study of the Lexington Theological Seminary 1865-1965. The record of the hearings on the charges against the men accused of destructive criticism by Calhoun and others shows pronounced bias and prejudice on the part of the Board and the defendents in the case. The hearing was styled by Bower as a "heresy trial" which he contended was out of character with the pleas of the leaders of the Restoration Movement. This contention clouded the issues and disturbed the Board. Eventually Calhoun saw the direction which the hearing was taking and realized that he could avail nothing so he offered his resignation on May 7, 1917. The Board accepted his resignation and found Crossfield, Fortune, Bower and Snoddy not guilty of the charges filed against them by Calhoun. However, the Christian Standard took up the fight and continued its attack against the administration of the College of the Bible through 1917 and well into 1918. 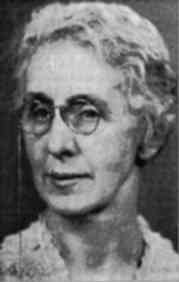 On August 25, 1917, T. E. Cramblet, President of Bethany College in West Virginia, announced the appointment of Hall Laurie Calhoun to the Bethany faculty. It seemed to have been Cramblets' hope and desire to establish a strong Graduate School at Bethany but with his death in 1919 many of the faculty resigned and the plans were never put into operation. When Calhoun left the college of the Bible the die was cast for the liberal wing of the Disciples to take over. The result was a division in the ranks of the Christian Church. The faculty and President became identified with the Central Christian Church in Lexington and espoused the cause of the group known as Disciples of Christ. Those who sympathized with Calhoun became identified with the Broadway Christian Church and came to be known as the Independent Christian Church. Their cause was supported by the Christian Standard, Mark Collis, (who was Chairman of the Board of Trustees during the hearings but failed to be reappointed), J. B. Briney and Ira Boswell. The leaders of the Independent Christian Church movement established the Cincinnati Bible Seminary. Calhoun continued to teach in Bethany College and to preach for the Christian Churches in the area. By 1924 he saw the same liberal element that captured the College of the Bible begin to raise its voice at the College and in the pulpit of the Bethany Christian Church. Consequently he decided to confer with N. B. Hardeman, Henderson, Tn. and M. C. Kurfrees, Louisville, Ky. about the changes that ultimately took place in his life. He left Bethany College in 1925 and renounced his affiliation with the Christian church and the use of instruments of music in worship and dependence upon the Missionary Society to do the work of a local congregation. Calhoun moved his family to Henderson where he and his wife became members of the faculty of Freed-Hardeman College and he became associate President of the College with Hardeman. Calhoun left Freed-Hardeman College in the spring of 1926. The reasons for his resignation have never been revealed and may never be made known. He moved to Nashville and following a serious illness during the summer he began to preach in the fall of 1926 at the Waverly-Belmont church of Christ. He also joined the faculty of David-Lipscomb College. In the meantime the Central church of Christ was organized in downtown Nashville and a building was constructed. N. B. Hardeman preached at the first service in the new building on December 26, 1926. 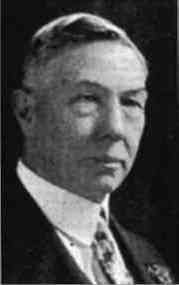 In 1928 Calhoun became the full time radio minister for the Central church. The regular services were broadcast and Calhoun conducted a noon worship service which was broadcast each day from 12:25 to 12:55. Untold thousands of people heard Calhoun preach the gospel over radio station WLAC in his most effective and inimitable way. He was responsible for teaching a great number who otherwise might have never heard and learned the truth. Many individuals wondered and many still wonder when Calhoun left the Christian Church why he did not return to the places where he had preached for the Christian Church and preach for the church of Christ. Hall Laurie Calhoun died at 9:15 pm on September 4, 1935. His funeral was conducted in the Nashville War Memorial Building and was attended by a huge crowd of friends and brethren. The service was conducted by John T. Hinds, G. R. Bethurum, Dr. J. S. Ward, E. H. Ijams, Sam H. Hall, and J. S. Batey. He was buried in Woodland Memorial Park, Nashville, Tennessee. Mary Ettah Calhoun died on October 30, 1953 and was buried in the Woodland Park Cemetery beside the physical remains of her devoted husband. Note: Dr. J.E. Choate, Professor, David Lipscomb College collaborated in collecting and organizing this material. GPS N 36º 06' 36.1" x WO 86º 45' 43.1"